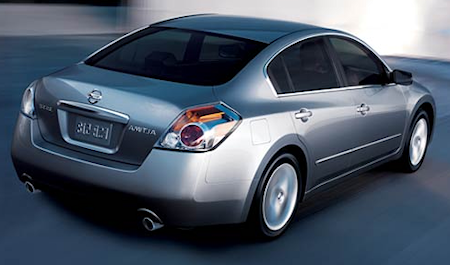 One of the top vehicles to tune for the past decade has been the Nissan Altima. Nissan has made a quality name for itself in the tuning world and enthusiasts in the states and around the globe just love to modify Nissan products. Nissan has done a great job embracing the tuning community and their vehicles are one of the best to modify and maintain. One car that definitely stands out in the crowd for tuners is the Nissan Altima. What makes the 2008 Nissan Altima SE Coupe perfect for tuning? Well, to start out with- its powerful engine. This Altima offers a 3.5L, V6 engine with a whopping 270 horsepower. Also offered is a 6 speed manual transmission with overdrive with 258 pounds of torque at 4500 rpm. All these specs equate to high performance to start, even before you get it into the garage to tune it up. Not only does the 2008 Nissan Altima have some great specs when it comes to the engine, but the lines on this vehicle look great. This vehicle also offers plenty of features including nice 17 inch alloy wheels, disc brakes on both the front & rear and a curb weight of about 3,200 pounds. For those looking for a vehicle that is just itching to be modified, the 2008 Nissan Altima SE Coupe definitely fits the bill. In fact, the price of this vehicle will run you about $25,500- which is not too bad, considering all you get. For those looking for a great vehicle to start with for exceptional modifications, the 2008 Nissan Altima SE Coupe looks to be a classic for the upcoming years. Already, there is plenty of chatter on the boards regarding this vehicle and many aftermarket products are easily available, making for an easy and affordable vehicle to tune.